While I know I’ve discussed the work of Jeff and Julie Jenkins (and their Chicago-based circus The Midnight Circus) I found a recent page on their website that details something I haven’t talked too much about. Here’s a video of one of their dogs Lola doing her amazing work. This video is from 2013. In addition to being a great clown, Jeff does a lot of work with dog training. 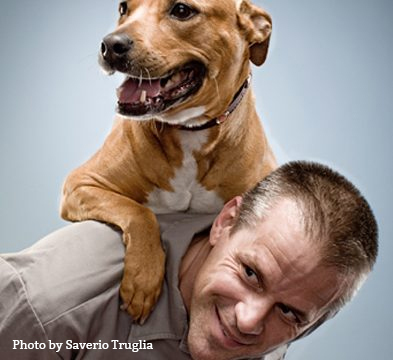 He rescues and trains Pit Bulls in the off season, and has created a number of great clown routines for his dogs. I knew that he’d been doing some work with the Humane Society, but I did not realize the depth of it. He’s been going into areas of South Chicago, giving free training and working with young kids with dogs to help them train their dogs, and battle dog-fighting where it stands. As he explains in the video below, if you get to the owners of the dogs, you have a chance to change their social behavior. Watch this video from the Humane Society, and you can see the great and important social work that Jeff is doing, both with the dogs, and their owners. It’s inspiring.